Richard Carroll Wills of St. George, Utah, was born on Aug. 10, 1943, in Oakland, California, to Nellie Irene Moody and Ray Orlin Munkers. His adoptive father was Wesley Nelson Wills. He was the second of three children to Nellie. Although every facet of his childhood was difficult, the resilience it required created a man with highest character and near superhuman strength. While growing up on a dairy farm in Elk Grove, California, Rick’s oldest brother, Bill, was always praised for his intellect, so Rick decided he would be the hardest working. His momentum never stopped until his heart finally had nothing left to give. He died of cardiac arrest at 2:50 a.m. on Aug. 25. Rick’s broken back was the last shred of physical evidence that he truly gave everything he could in service of his fellowman. God has called him home to get some rest, but one of Rick’s first questions upon arrival will most likely be, “Where can I start building a home?” He’ll work on it piece by piece, in between whatever else is needed, just as he did while serving as a Mormon bishop in Carlsbad, California, where he and his wife raised their children. Rick met his wife of 52 years, Sharon Elaine Hutcheson, in grade school, and she became his high school sweetheart and greatest love. No man ever possessed greater respect and honor for the mother of his children. They were wed in St. John’s Lutheran Church in Sacramento, California, on Nov. 18, 1963, and were later sealed for time and all eternity in the Oakland, California temple of The Church of Jesus Christ of Latter-day Saints. Rick and Sharon knew from their start together that there were only two secrets of a happy life. First: love. They both have a tremendous knowledge of the love of God. Second: family. Their greatest newlywed desire was to have a large family, and it grew into their fullness of joy. They were never happier together than when they were surrounded by their seven children, 38 grandchildren and thousands of adopted children, for they loved all children like their own. Rick started his adult life as a football player at Sacramento City College, but duty-bound, he joined the Marine Corps to serve in Vietnam as a crypto-typist. Later Rick worked as a California Highway Patrolman, a carpenter, foreman and general contractor, and he ended his career in facilities management. Rick normally held two or three jobs to provide for his large family. There wasn’t anything he couldn’t fix with a stick of bubble gum and some duct tape. Known affectionately to his children as “MacGyver,” Rick was a jack-of-all-trades and master of most. Rick is survived by his wife, Sharon; their children: Erick Wills (Cami), Adam Wills (Annette), Shannon Nelson (Brett), Alice Gold (LeGrand), Sarah Bartlett (Josh), David Wills (Brooke) and Renee Sorenson (Erik); 38 grandchildren; his brother Bill Wills (Jonnie); his sister Marilyn Kirkelie; Sharon’s brother Danny Hutcheson; sister Shirley Clukey (Dale); and many nieces and nephews. We expect he will be greeted on the other side by his grandson Braxton Wills, his parents and his in-laws, John and Dorothy Hutcheson. 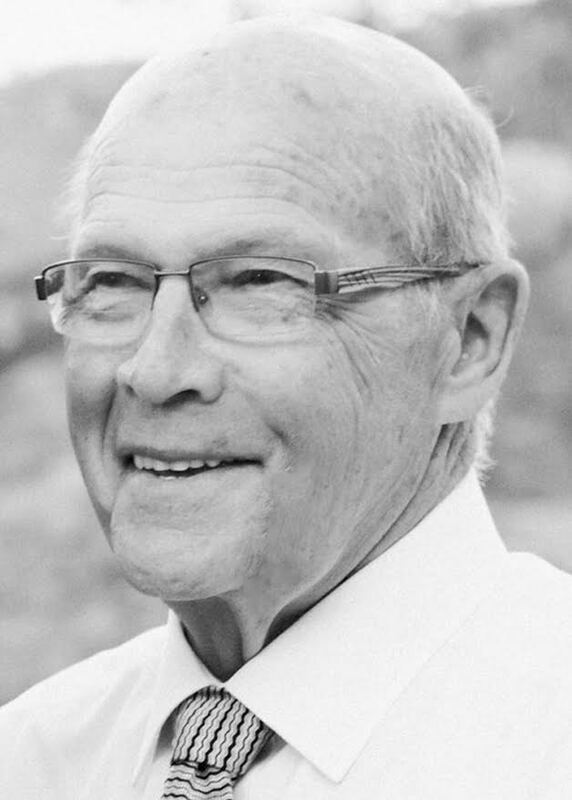 Services will be held Monday, Aug. 29, at 11 a.m. at the Cotton Acres LDS chapel, 2583 E. 350 North, St. George, Utah 84790. A viewing will be held at 9:30 a.m. prior to services. In lieu of flowers, please consider passing on Dad’s legacy. Hug your neighbor. Love on some gang members. Stop and help someone with their broken-down car. Look past people’s flaws. Listen and validate someone who is angry or sad. Give a stranger the shirt off your back. Compliment a co-worker on a job well done. Serve in your church. Mentor a child. Save a life. Always keep gum in your briefcase for your kids, and keep a camera handy to capture treasured moments. Adore your wife. Giving money is good, but more noble is giving of oneself. Honoring his Creator by the way he lived was Rick’s greatest legacy. For condolences, full obituary and funeral listings, please visit Pine View Mortuary online.